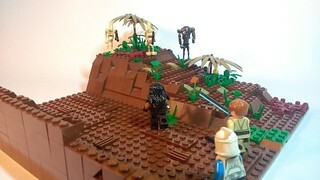 Hey everyone, this is my MOC of a battle on Devaron. The idea was to build a muddy terrain with plants and vegetation growing through the area. 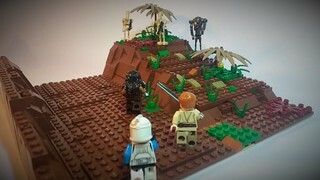 The battle is basically Obi Wan Kenobi e Quinlan Vos attacking a few droids. Thank you, the vegetation was the main point in the MOC.